I graduated on May '14 with a PhD in Computer Science! My advisor was Angelos D. Keromytis and my thesis: Defending against Return-Oriented Programming. Before that, I graduated from University of Crete with a B.S. in Computer Science in 2007. From the 3rd year of my undergraduate studies I worked with prof. Evangelos P. Markatos at DCS lab, ICS-FORTH as a research scholar, until I finished my M.S. 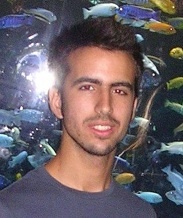 in Computer Science at 2009, again at University of Crete. My main research interests are network and systems security. I'm the Microsoft BlueHat Prize v1.0 grand winner! More info about my entry: kBouncer. In Proceedings of the 17th International Symposium on Research in Attacks, Intrusions and Defenses (RAID). September 2014, Gothenburg, Sweden. In Proceedings of the 35th IEEE Symposium on Security & Privacy (S&P). May 2014, San Jose, CA. Vasilis Pappas, Vasileios P. Kemerlis, Angeliki Zavou, Michalis Polychronakis, and Angelos D. Keromytis. In Proceedings of the 16th International Symposium on Research in Attacks, Intrusions and Defenses (RAID). October 2013, Saint Lucia. Marco V. Barbera, Vasileios P. Kemerlis, Vasilis Pappas, and Angelos D. Keromytis. In Proceedings of the 18th European Symposium on Research in Computer Security (ESORICS). September 2013, Egham, UK. Vasilis Pappas, Michalis Polychronakis, and Angelos D. Keromytis. In Proceedings of the 22nd USENIX Security Symposium. August 2013, Washington, DC. Angeliki Zavou, Vasilis Pappas, Vasileios P. Kemerlis, Michalis Polychronakis, Georgios Portokalidis, and Angelos D. Keromytis. In Proceedings of the 15th International Conference on Human-Computer Interaction (HCI). July 2013, Las Vegas, NV. Eleni Gessiou, Vasilis Pappas, Elias Athanasopoulos, Angelos D. Keromytis, and Sotiris Ioannidis. In Proceedings of the 27th IFIP International Information Security and Privacy Conference (SEC). June 2012, Heraklion, Crete, Greece. In Proceedings of the 33rd IEEE Symposium on Security & Privacy (S&P). May 2012, San Francisco, CA. Vasilis Pappas, Mariana Raykova, Binh Vo, Steven M. Bellovin, and Tal Malkin. In proceedings of the 27th Annual Computer Security Applications Conference (ACSAC). December 2011, Orlando, Florida. Vasilis Pappas and Angelos D. Keromytis. In Proceedings of the International Conference on Advances in Computing and Communications (ACC). July 2011, Kochi, India. Vasilis Pappas, Brian M. Bowen, and Angelos D. Keromytis. In Proceedings of the 13th International Conference on Information Security and Cryptology (ICISC). December 2010, Seoul, Korea. In Proceedings of the 13th Information Security Conference (ISC). October 2010, Boca Raton, FL. Vasileios P. Kemerlis, Vasilis Pappas, Georgios Portokalidis, and Angelos D. Keromytis. In Proceedings of the 6th European Conference on Computer Network Defense (EC2ND), October 2010, Berlin, Germany. Elias Athanasopoulos, Vasilis Pappas, Antonis Krithinakis, Spyros Ligouras, Evangelos P. Markatos, Thomas Karagiannis. In Proceedings of the USENIX Conference on Web Application Development (WebApps), June 2010, Boston, MA. Elias Athanasopoulos, Vasilis Pappas, and Evangelos P. Markatos. In Proceedings of the Third Workshop on Web 2.0 Security & Privacy (W2SP). May 2009, Oakland, CA. Vasilis Pappas, Elias Athanasopoulos, Sotiris Ioannidis, and Evangelos P. Markatos. In Proceedings of the 11th Information Security Conference (ISC). September 2008, Taipei, Taiwan.